Let's be honest... Going to the dentist may not be your favourite activity. 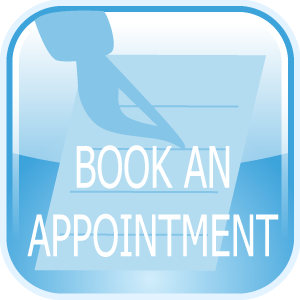 Our professional and cheerful staff are devoted to making your experience a positive one! Cheryl is the first person you see upon entering our office. With her gentle personality and ready smile, she is able to put even the most nervous of patients at ease! 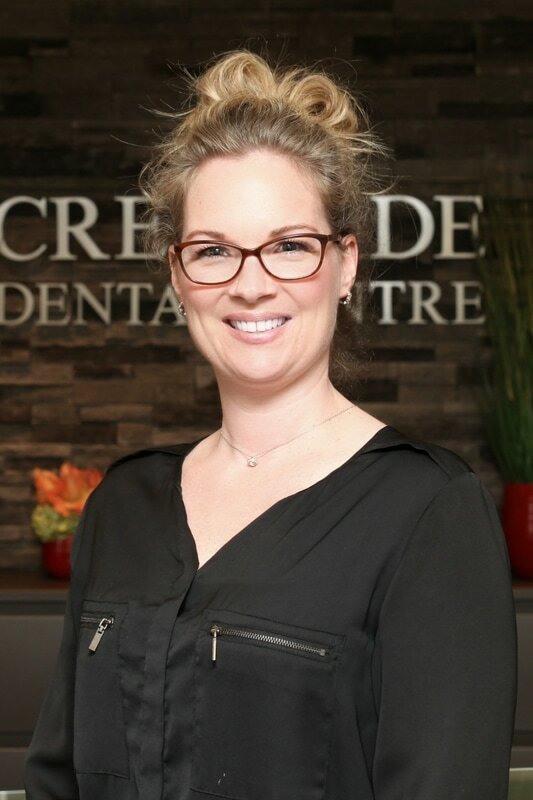 Cheryl has been working for Dr. Helen since Creekside Dental Centre first opened in 2006. 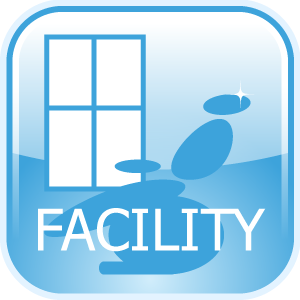 Before joining the practice, Cheryl worked as a Level I Dental Assistant, where she gained valuable training in all aspects of dentistry. 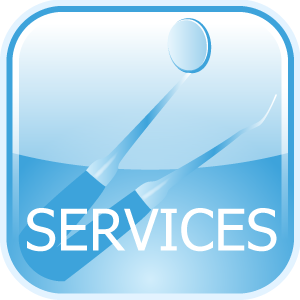 We now benefit from her several years of experience working in dental administration. Through the years she has had exciting opportunities to expand her knowledge in the dental field, including completing the 2 year Medical Office Administration program at St. Lawrence College in Kingston. When not at work she spends her time with her husband and 2 children. Shelley has lived in Kemptville for the last 15 years. She graduated as a Certified Dental Assistant in 1987 from Algonquin College, and has compiled over 26 years of experience supporting care and treatment of patients and their rewarding smiles! Outside the office she enjoys spending time with her husband and 2 children, family and friends. She also enjoys the outdoors, golfing, camping, playing sports and keeping active and healthy. 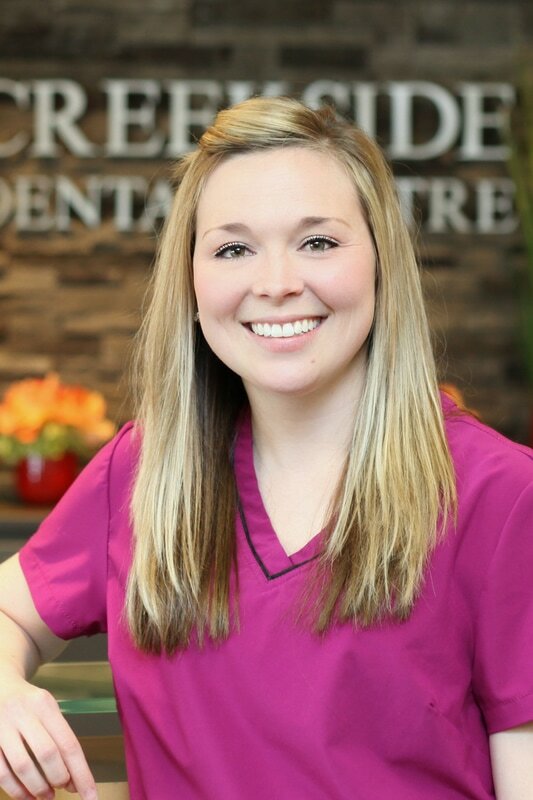 Shelley graduated from Algonquin College as a Dental Assistant in 2007. After gaining 2 years of valuable experience as a dental assistant, Shelley returned to Algonquin College and graduated with honors from the Dental Hygiene program in 2010. This year Shelley obtained her qualifications to be a self-initiated clinician. She is in good standing with the college of Dental Hygienists and is a member of the Ontario Dental Hygienists Association and Canadian Dental Hygienist Society. 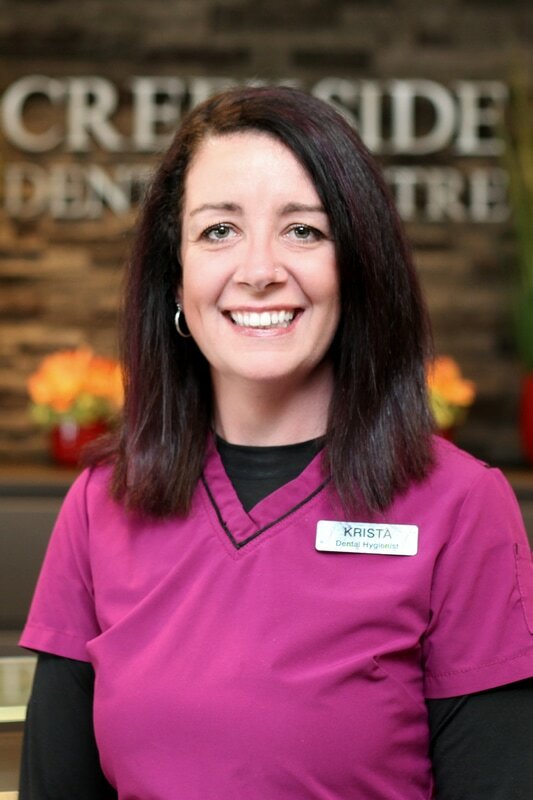 Born and raised in Ottawa, Ontario, Krista graduated with honors from the Dental Hygiene program at Algonquin College. She has been enjoying her career as a dental hygienist for 7 years and recently obtained her self-initiated clinician status. She is in good standing with the College of Dental Hygienists and is a member of the Ontario Dental Hygienist Society. Krista spends her spare time with her husband and 2 children, also as a scout leader in Ottawa and enjoys their numerous all-season camping trips. 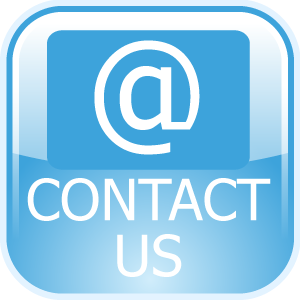 ​ Ontario Dental Hygienists Society. When Kate is not at work, she resides in South Mountain, and enjoys spending time with her growing family. Emma lives in Kemptville and graduated from from North Grenville D.H.S. She graduated in 2006 with honors from the Dental Assisting program at Algonquin College and is a member of the Ontario Dental Assistant’s Association. Emma enjoys baking and spending time with family and friends. Kristin lives in near by Osgoode and graduated from the Osgoode Township High School. She attended St. Lawrence College in Brockville and graduated with honors from the Medical Office Assistant program. Kristin enjoys spending time with her young family.